Skin tightening treatment can be performed to treat loose, wrinkled skin anywhere on the body and face. 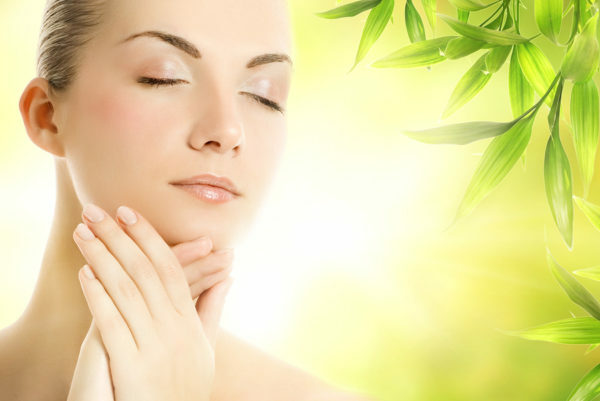 Skin tightening is a safe and extremely effective way to have a smoother skin complexion. 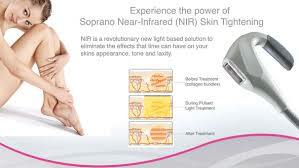 Soprano skin tightening is a minimally invasive, cost-effective way to give you firmer, younger-looking skin. This treatment boosts collagen production beneath your skin and improves skin tone, color, and smoothness. Another added benefit of this treatment is being quick and pain-free. This anti-aging treatment uses the laser to restore the tone of the skin with no downtime, minimal discomfort and at a fraction of the cost of plastic surgery. The Infrared Skin Tightening Laser delivers a beam of high-intensity infrared light, using a handheld applicator that deeply penetrates the skin tissue. The light heats up the water content of your skin which stimulates the collagen in the skin causing it to contract and tighten. Your body’s own natural healing process will also start to produce new collagen to further tighten the overall appearance of your skin over several months. The procedure usually takes 30 – 45 minutes depending on the size of the area to be treated. The number of treatments depends on the area being treated and the condition of your skin. A series of up to six treatments at 2-3 week intervals is usually recommended to achieve the desired result of smoother, tighter skin. You will notice an immediate improvement following treatments, however, you will see further improvements develop gradually over a period of 1 – 3 months as new collagen is formed and your skin tightens further. Results can be maintained with just one or two single treatments a year. Treatment is generally considered by most people to be ‘near’ painless, with only a warm sensation or feeling of heat felt during the treatment. You may experience lingering warmth, tightness, swelling or redness in the treated area, which often fades within a few hours of treatment and seldom lasts more than a few days. Generally, you can receive treatment and go back to work.